Whether you like pushing your Personal Best on the track or warming up your vocal chords cheering from the sidelines, Townsville North Queensland has plenty of action-packed events to warm up your winter. From chamber music to Supercars, triathlons and treks (not to mention the stunning weather) leave the jumpers at home and escape to warmer waters this winter! 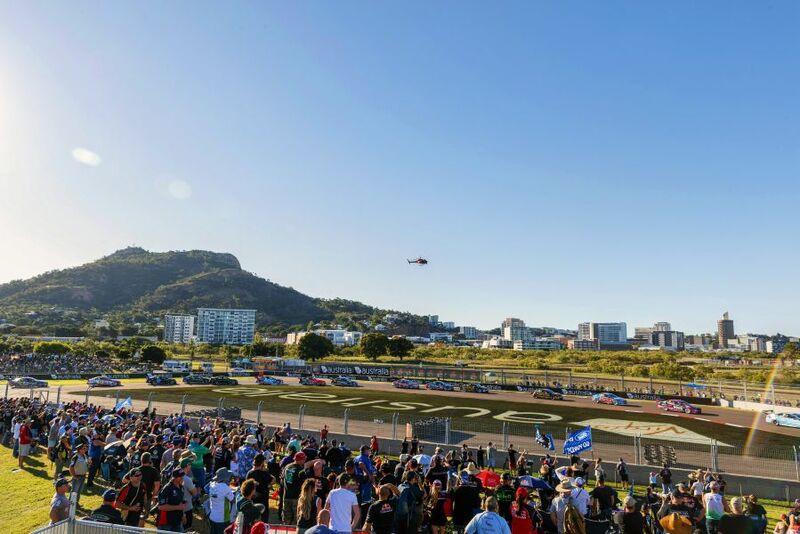 The Watpac Supercars Townsville 400 is all about high octane Supercars racing through the streets of Townsville. Complete with plenty of exciting on and off track entertainment, the whole family will be talking about this event for years to come. This is the ultimate mountain biking adventure race. With substantial prize money, stunning rainforest vistas and challenging trails, the Paluma Push is the perfect race for everyone from competitive riders to those who just want a personal challenge. Word of warning – don’t delay registering as this event sells out quickly. The Australian Festival of Chamber Music presents the finest musicians from around the world in a wonderfully unique and innovative program of 30 concerts set in the tropical warmth of Townsville North Queensland. It’s fast, it’s flat, and provided you don’t get distracted by the amazing ocean views, the McDonald’s Townsville Running Festival is the perfect race for that PB time you’ve been chasing. From short fun-runs right up to a marathon, there’s a distance for everyone! The Townsville Triathlon Festival is a ‘Big Weekend’ with 11 events over three massive days. Catering for any fitness level, The Big Weekend has something for everyone, and is also now an age group world championship qualifier and the proud home of the North Queensland Club Championships. It’s try time! Catch the North Queensland Toyota Cowboys at a home game in Townsville and enjoy a fun family atmosphere and plenty of on field action. When you’re in Cowboys country, this is a must do.